A man has been jailed following a long-running investigation into the trafficking of vulnerable women for prostitution. Sussex Police say Hong Chin was sentenced to four years’ imprisonment – two to be served in custody and the remainder on licence – at the Old Bailey today (Thursday October 26). 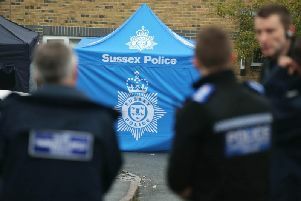 He was also made subject to a Slavery and Trafficking Prevention Order until further notice – the first of its kind in Sussex. This prevents him from holding a passport or identity documents in someone else’s name, other than family members; arranging travel for anyone other than family members; and arranging hotel accommodation for anyone other than family members. A total of 19 victims, all from South East Asia, were identified as being exploited at hotels across the South-East between 2013 and 2015. Sussex Police say they first became aware of the illicit operation in February 2015 after one of the women reported being debt bonded, which led to extensive enquiries being carried out. A police statement says that four people were arrested in connection with the investigation on June 10 2015 and later charged. - Together with Hong Chin, conspiring to traffic people for sexual exploitation into the UK between 10 March 2015 and 11 June 2015. During a trial which started at the Old Bailey in London on Monday August 21, the fourth person charged in connection with the case, Wing Yeun (male, from Hong Kong), 41, a taxi driver, of Palace Square, London, was found not guilty of all charges against him. The remaining three defendants were all found guilty by a jury on Thursday October 5. Chin was sentenced today, and Gao and Lu are due to be sentenced on Friday November 3. Detective Inspector Andy Richardson said: “I’m delighted with the sentence and I’m delighted we were successful in our application for a Slavery and Trafficking Prevention Order against Chin, which will stop him exploiting vulnerable women again. It also sends out a clear message that this sort of activity will not be tolerated, and that anyone caught doing so will be dealt with robustly. “This has been a complex and lengthy investigation where vulnerable women were trafficked into the UK for the purposes of prostitution. “Often the women were moved to different towns around the South-East where hotel rooms were booked for them, and then they were told who they would be seeing and what services they had to offer; they had no say in any of this. “Our case was also supported by the strength of the account given by one of the victims, who bravely gave evidence at the trial and I am grateful for her co-operation. Kevin Thomson, from the Crown Prosecution Service, said: “This was an organised operation designed to traffic women into prostitution, as shown by the variety of bank accounts used to run it and the sheer amount of funds it generated. These elements helped to provide compelling evidence of what these defendants were doing. This involved hotels in Eastbourne and Brighton.